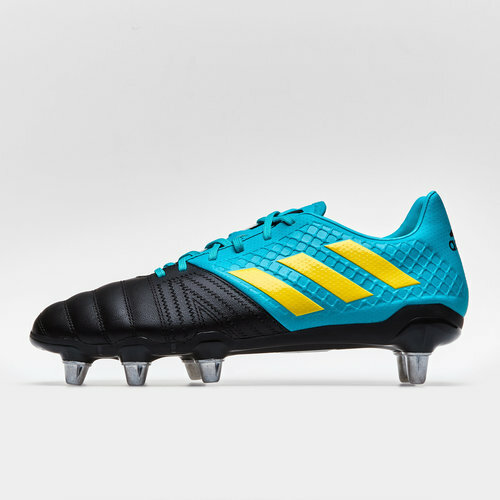 Enforce yourself upon the game when you lace up a pair of these adidas Kakari Elite SG Rugby Boots in Core Black, Shock Yellow and Hi Res Aqua. 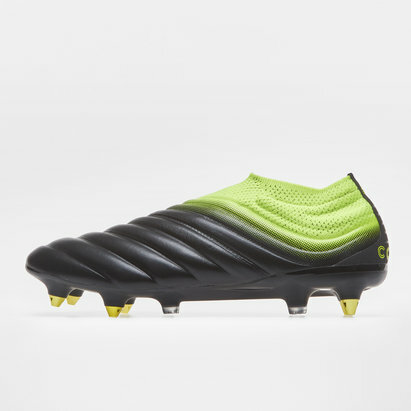 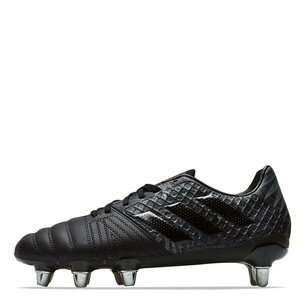 These adidas rugby boots have been designed for rugby players at the heart of the action, breaking up play with crucial tackles and darting into key positions. 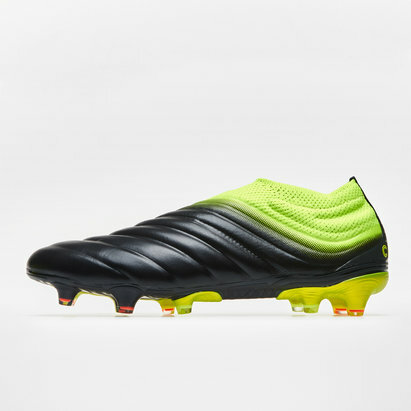 The lightweight BRAVO synthetic upper provides stability and comfort, while a cage system provides total foot support. 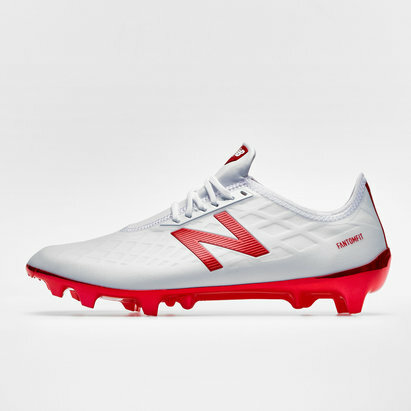 With a 10mm heel raise for a more dynamic foot position, a 6x2 stud formation featuring screw-in metal studs ensures you get plenty of grip whilst playing on natural soft ground pitches. 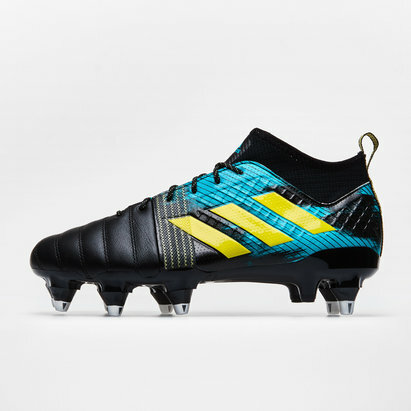 In a vibrant black, yellow and hi res aqua colourway, standing out on pitch never looked so good, make sure you can be the one to change the game when you lace up these adidas Kakari Elite SG Rugby Boots.